In May of 2001, two bottlenose dolphins were languishing in a crude holding pit in the mountains of Santa Lucia Milpas Atlas, Guatemala. Both dolphins – a male named Turbo and a female named Ariel, had been captured from the wild and brought to the mountains by truck fourteen months earlier. 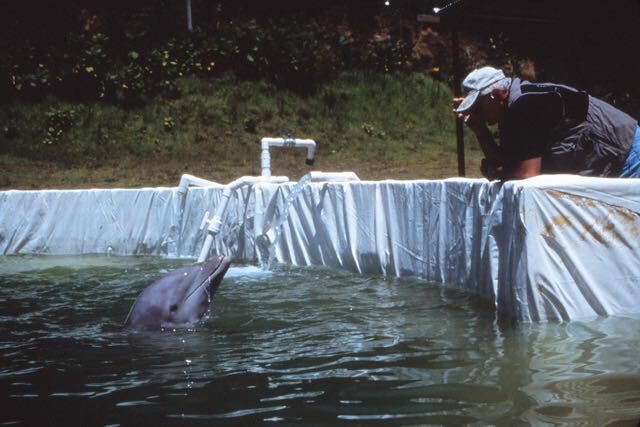 Their captors were in the process of training them to perform in shows in the infamous traveling dolphin circus known as Water Land/Mundo Marino, when the Guatemalan environmental organization, MadreSelva, discovered the primitive operation. MadreSelva immediately alerted the authorities and asked them to look into the legality of Water Land´s captive dolphin training camp. Water Land operates out of Margarita Island in Venezuela. Ruben Roca, the owner of the same traveling dolphin show that had illegally held Cheryl the Russian navy dolphin until her death, abandoned Ariel and Turbo when Guatemalan authorities instigated proceedings against him for their illegal capture. Roca had left the dolphins in a shallow, stagnant pit, which had been dug with a backhoe. The hole was inserted with a white plastic liner, and a three foot high cement wall topped it off. The dolphin trainers had taken the fish freezer and parts of the filtration system with them when they fled the country in the middle of the night. As a result, the filtration system was not working, and the dolphins were literally living in a cesspool. According to eye witnesses, the pit had originally contained four dolphins. It is presumed that the two missing dolphins, named Sammy and Pinky, were transported to Water Land´s base in Margarita Island. Ric O’Barry checking on the condition of Ariel and Turbo. 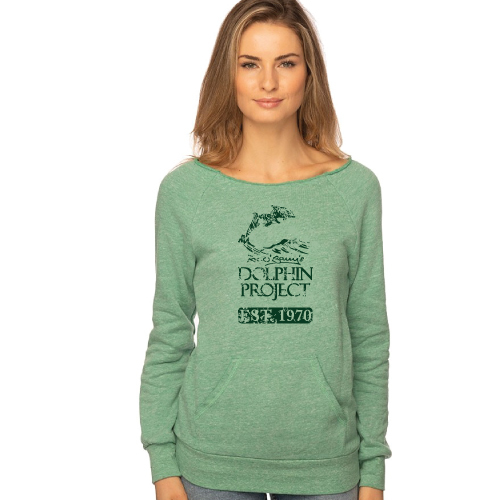 Dolphin Project, which at the time was working with the World Society of the Protection of Animals (WSPA) was initially contacted by Ms. Magali Rey Rosa of MadreSelva. When Ric and Helene O’Barry showed up in the remote mountain location to inspect Water Land´s dolphin training camp on June 1st, they found Ariel and Turbo floating listlessly on the surface of the foul-smelling water. The dolphins were malnourished and dehydrated, and their skin was discolored from the contaminated water. 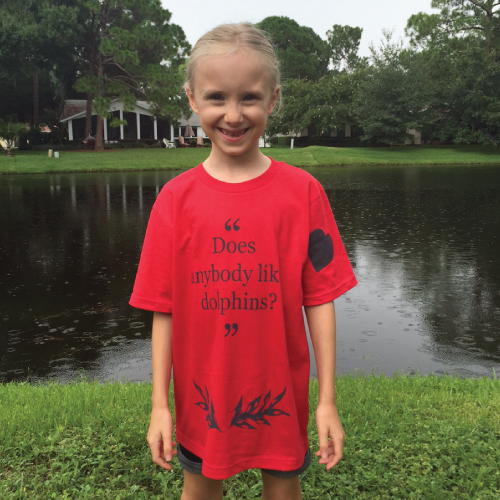 Rocca’s rented house and the pit he had dug for the dolphins was located at an elevation of more than 6,000 feet. The altitude had played havoc with the dolphins’ health, and they had not eaten in several days. Ric and Helene set up camp next to the pit and implemented first-aid. The filthy water was pumped out, and the bacteria-ridden liner was scrubbed clean. The pit was refilled with 25 tanker-trucks of fresh city water as well as 2400 pounds of salt. A new heavy duty swimming pool filtration system was installed. They fed the dolphins freshly-caught fish injected with water and electrolytes in order to re-hydrate them. 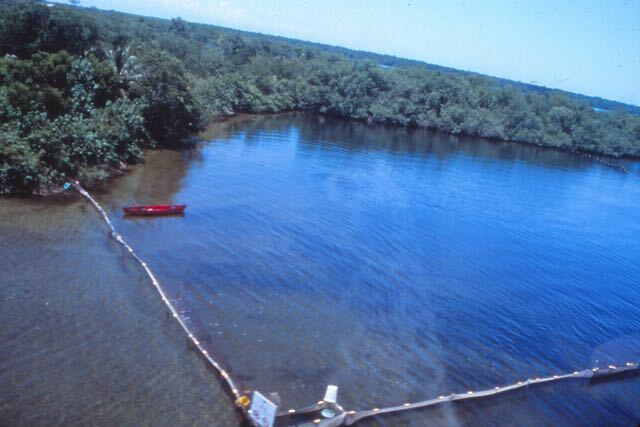 While Helene and Dr. Juan Carlos Murillo, a WSPA veterinarian, nursed the two dolphins back to health with fresh fish, vitamins and antibiotics, Ric flew to the edge of the Guatemalan jungle by helicopter provided by the Guatemalan Army to search for a site to build a sea pen. An ideal site was chosen when pods of resident bottlenose dolphins were spotted from the air. With the help of the Guatemalan army, a huge sea pen was erected in record time in Graciosa Bay, on the bayside of the Manabique Peninsula. 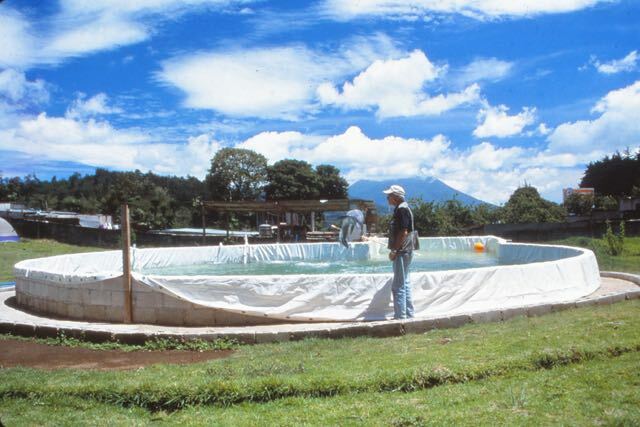 It took more than five weeks of negotiations between the Guatemalan government, MasdreSelva and WSPA to secure the dolphins´ release. While the negotiations went on, members of the dolphin captivity industry tried to roadblock our efforts. For the dolphins, this was a do-or-die situation: They could not survive in the holding pit much longer. The authorities finally awarded custody to WSPA, and on July 12th Ariel and Turbo were transported out of the mountains and back to the sea. The Guatemalan navy provided a truck that would transport the dolphins from Santa Lucia Milpas Altas to the airport in Guatemala City. The dolphin rescue team had received death threats a few days earlier, and police and army personnel escorted the truck the entire way. 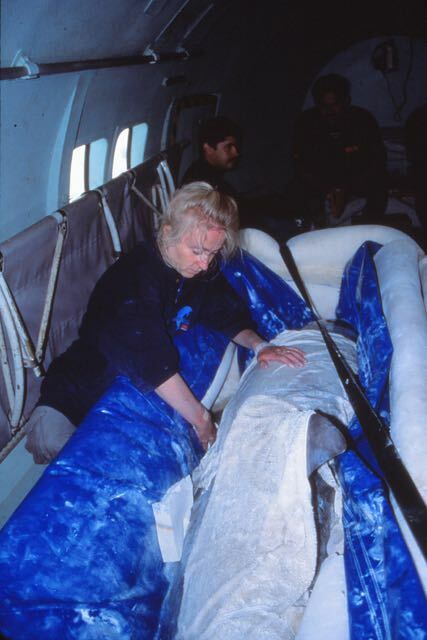 From Guatemala City, the dolphins were transported by plane to the naval base in Puerto Barrios. From there, it was just a 20-minute helicopter ride to the awaiting sea pen in Graciosa Bay where, for the first time in over a year, Ariel and Turbo once again experienced real sea water and a spacious environment. Never again would they have to perform tricks in order to be fed. The healing process could begin. Airlifting Ariel and Turbo to their readaption and release facility ~ with Helene Hesselager O’Barry. 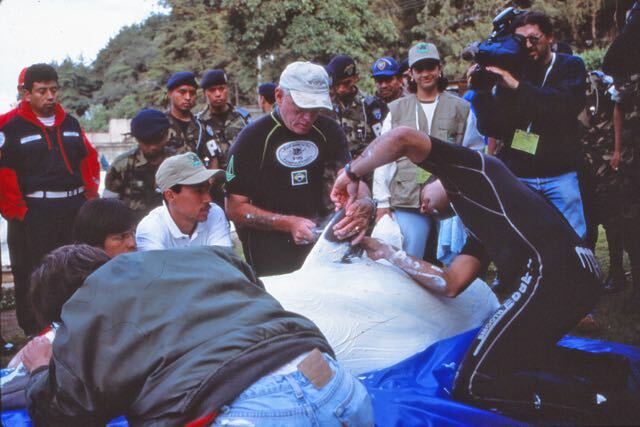 While the remote site at the edge of the Guatemalan jungle was ideal for rehabilitating dolphins, it posed many challenges for the dolphin rescue team. Ric and Helene were dropped off in the jungle with very few supplies, and as they saw the helicopter take off and disappear, they had no idea where they were going to spend the night. Just before dark, they found a small platform that could be used as a camp site. Here, they were safe from panthers, crocodiles, poisonous snakes and the large pack of wild dogs that lived in the area. 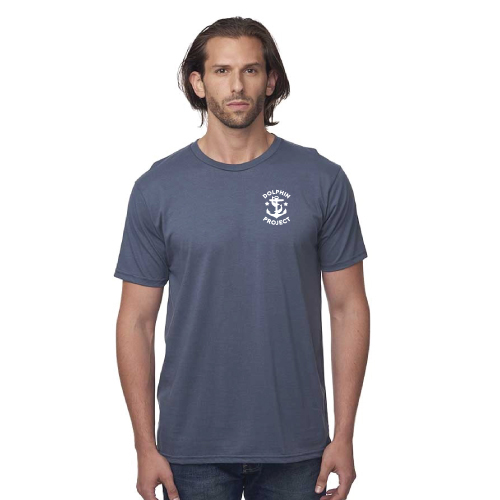 A freeze brand is used to create a logo on the dorsal fin for tracking after release. Ariel and Turbo had only spent a short time in captivity and were perfect candidates for release. They had spent enough time in the wild prior to their capture to know how to survive, which fish to catch and how to avoid predators. Once introduced to the large sea pen, they showed no interest in humans whatsoever, and they had not forgotten how to hunt live prey. They spent most of their time leaping, diving and catching fish in the deep end of the sea pen. A pod of resident bottlenose dolphins entered Graciosa Bay twice a day to hunt for fish and each time visited the sea pen. Ariel and Turbo were rehabilitated using the Dolphin Project protocol. On the day of their release back into the wild, they were quickly adopted by the resident pod of bottlenose dolphins. Both Ariel and Turbo were seen together by local fishermen one year later. Turbo was spotted again on January 2003 in the Sarstoon River, which form a portion of the border between Belize and Guatemala. He was swimming with a group of wild dolphins.